Według mnie te wydarzenia na statku i w szkole za którymi stał Undertaker muszą mieć z tym związek. Według mnie on szukał sposobu żeby ożywić człowieka i w końcu mu się udało. Zwłaszcza, że prawdziwy Ciel zmarł na tym stole. Jest już gdzieś rozdział czy to ze spoilerów? Nie zaglądam w tag, więc nie wiem, o czym dokładnie piszecie. Rozdział pojawił się już na MS.
Ciel Phantomhive agrees to form a Faustian contract with the demon—a turn the cultists are not fond of. They try to make Ciel stop talking, however, it is all in vain as the demon has already acknowledged Ciel's wish and now asks its new master where he wants his contract seal placed on his body. 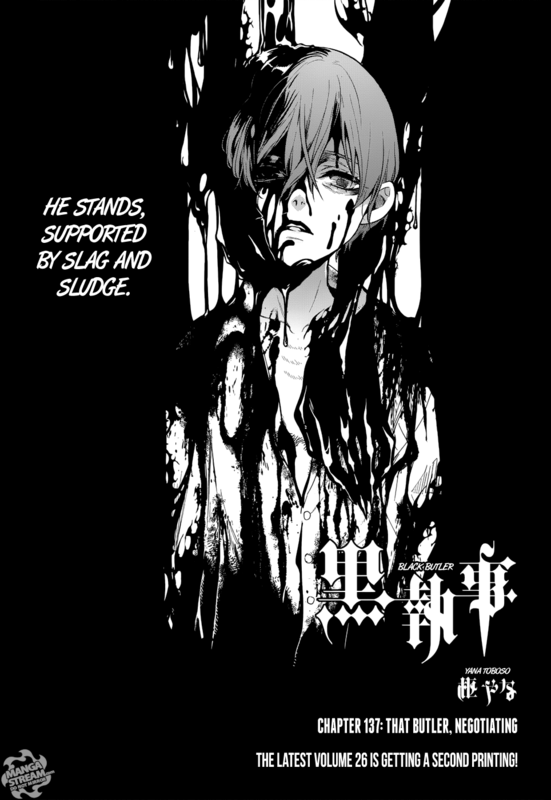 Ciel replies that he does not care where the seal is placed; he only cares to possess more power than anyone else. Smiling, the demon brands his right eye with the seal. After the seal was placed and Ciel recovered from the marking procedure, the demon persuades Ciel to make his first command. Ciel takes a look at the cultists and his brother's corpse, and recalls the violation he had to endure under their hands—then, he commands the demon to kill all of the cultists. When the demon is done, it frees Ciel from the cage and asks for his name. 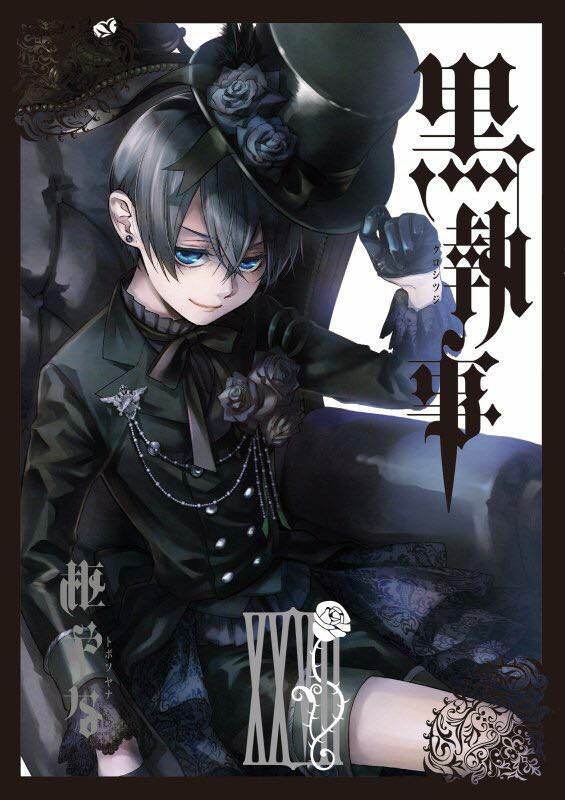 Slightly hesitatingly, Ciel tells him that he is Ciel Phantomhive, the future Earl of Phantomhive. Finding out that its new master is a nobleman, the demon adopts the appearance of a butler. Ciel is stunned when he sees the demon's new appearance. The demon interprets his reaction as distaste and proceeds to change his form again and again, asking whether Ciel likes these forms more. 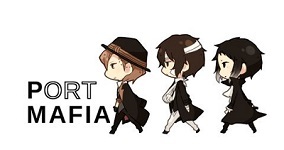 After Ciel tells it that the first form was fine, the demon reverts to its butler appearance before announcing that it is now time to discuss the details of their contract. They sit down at a table, and the demon informs Ciel that demons would never agree to a contract from which they gain nothing, that the contract needs to benefit both parties. It then says that Ciel can make three wishes. Ciel asks if he can really wish for anything, even for the resurrection of someone. The demon tries to convince him that he can indeed do this, but Ciel quickly points out that he is lying—after all, he told him that "the fare for crossing would never return," meaning that he cannot bring back the dead. Ciel ponders over chess moves and how he can use his wishes to get to most out of the contract and to make sure that the demon stays under his sole and absolute control. Eventually, he settles on his first wish: The demon shall never lie to him. Ciel is about to formulate his second wish, but the demon cuts him off mid-sentence after Ciel mentioned his revenge, wanting to exert it straightaway. Ciel stops him by grabbing his tailcoat and says that he wants to find and kill those who attacked Phantomhive Manor on his own. Furthermore, he does not want the culprits dead before he finds out their reason. Then, Ciel makes his second wish: The demon has to obey all of his commands without questioning them. Right afterward, the demon asks for Ciel's third and final wish, but Ciel wants to rest first. Taking his words as a command, the demon lifts Ciel and tries to lay him down, but Ciel protests and says that his second wish shall only take effect when he says "I command you." When Ciel sits again, he makes his third and last wish: The demon shall protect him and never betray him until he got his revenge. The demon points out that these are actually two separate wishes; much to Ciel's irritation. However, the demon accepts it nonetheless as his personal aesthetic denies him to make two contracts at the same time anyway. After everything is settled, the demon stands up and circles around Ciel, and peers at him, saying that he will abide by their contract until Ciel accomplished his vengeance—and when their contract has ended, the demon will consume Ciel's soul, shocking Ciel immensely. 27. tom trafi do sprzedaży 27 lipca. Ciel pozbywa się dowodów/sprząta/pali wszystko na popiół. No dobra, Sebuś to robi. Wracamy do wydarzeń współczesnych. Koniec wspominków. Moje kochanie się pokazało Undertakera nigdy za wiele Cóż, potwierdza się jedynie, że Grabarzyk ma coś wspólnego z rodzinką. Trzeba czekać, na kolejny rozdział. Miałam rację, obstawiając Ciela na nową okładkę, no ale któż inny mógłby być, tak po prawdzie? Jest też nowy rozdział. Podobają mi się latarnie na okładkowej ilustracji, na którym widać znamiona poprzednich arków. Okazuje się, że Ciel dzięki Grabarzowi był cały czas przy bracie. No i mamy niespodziewanych gości na koniec rozdziału. Ostatnio zmieniony czw cze 28, 2018 10:06 am przez mika, łącznie zmieniany 1 raz. Wreszcie Ciel na okładce. Byłam ciekawa czy będzie jedna postać na okładce. Elżunia wie już o wszystkim i jest w posiadłości. Za mało gości było ostatnio, przybyli kolejni Jak impreza, to impreza. Po cichu liczę że Aberlaine jest po jego stronie, ale teraz już nie wiadomo. Elizabeth i jej rozterkom sercowo-ludzkim.